If you are missing anything from a single tooth to multiple missing teeth we can provide you with a solution to give you back your teeth, confidence, and smile on the SAME DAY in just one visit. 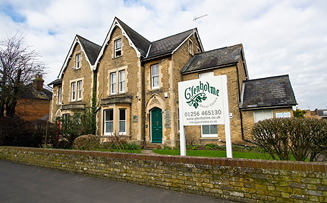 At Glenholme Dental Centre in Basingstoke, we provide a full-spectrum dental service ranging from general dentistry to specialised procedures, such as dental implants, Same Day Teeth and “Teeth-In-A-Day“, root canal and gum disease treatments, invisible and rapid braces, veneers and much more. Many of our satisfied patients can attest, our service is as individual as you are. As part of our service, we offer a comprehensive range of treatment options to meet all of your personal dental needs, and cater for patients from all walks of life. We understand that you have work and life commitments and we are open for early morning, late evening and weekend emergency appointments, and endeavour to maximise our work in one patient visit. When patients visit Glenholme Dental Centre they can enjoy a range of the most up-to-date technology in dentistry. We invest in new equipment and the latest methods, to bring the best care and results for our patients. Find out more about our Latest Technologies. However, if you are interested in Dental Implants why not take a look at our dedicated Dental Implant site, Dental Implants Hampshire by clicking here. Here, you will be able to find out about the dental implant procedures we offer and more information about the practices and dentists carrying out the procedures. “Having been fortunate enough as a child to be enrolled with a dentist who made the inevitable intellectually interesting and satisfied my curiosity, dentistry as held no terrors – quite the contrary. Since then, I have experienced a variety of expertise.